The complete streets movement is based on a simple idea: streets should be safe for people of all ages and abilities, whether they are walking, driving, bicycling, or taking the bus. Completing Our Streets provides the strategies, tools, and inspiration needed to translate this idea into real and lasting change in cities and towns of all sizes. Completing Our Streets begins with the story of how the complete streets movement united bicycle riders, transportation practitioners and agencies, public health leaders, older Americans, and smart growth advocates to dramatically re-frame the discussion of transportation safety. It explores the policy changes needed for a successful complete streets program, and it discusses how to get the process started. Completing Our Streets shares stories from places big and small that are adopting a complete streets approach to all of their transportation projects. Answering a Loaded Question: How Much Do Complete Streets Cost? Barbara McCann is the director of the Office of Safety, Energy and Environment at the US Department of Transportation. 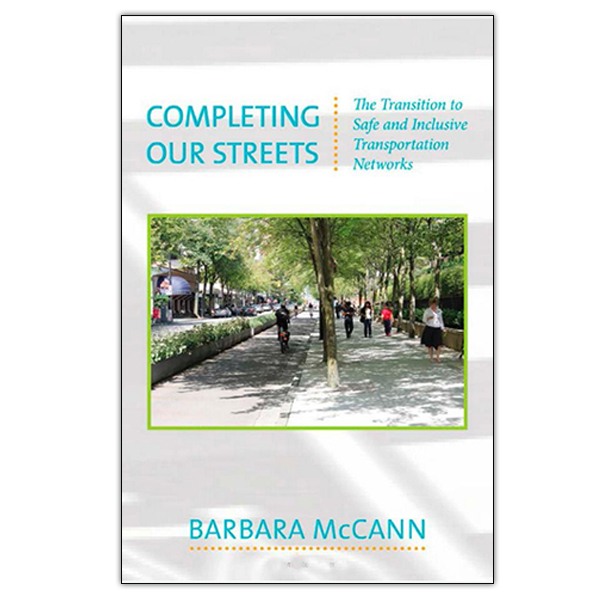 She was the founding Executive Director of the National Complete Streets Coalition, working with groups from AARP to the YMCA to develop and advance the adoption of policies to make streets safe for all users. Completing Our Streets is guaranteed. If you are not 100% satisfied, you may return it within 30 days for a full refund.